The Internal Revenue Service is looking into new allegations of tax fraud at the Russian government’s Washington-based radio station, sources tell the Washington Free Beacon. IRS investigators have met with former Voice of Russia employees to discuss complaints that VOR has been dodging payroll taxes, benefit expenses, and unemployment insurance by falsely classifying full-time employees as "contractors," according to sources familiar with the discussions. An IRS spokesperson said the agency is prohibited from commenting on issues related to specific taxpayers. According to an employee complaint filed with the IRS, the radio station routinely hires individuals "whom they pay as independent contractors for months despite treating them like full-time employees." These staffers met the IRS definition of full-time employees, according to the complaint, including the requirement that they arrive at the office at a designated daily time, work for at least eight hours a day for a total of 40 hours each week, account for their whereabouts during the workday, and report to VOR management. The complaint also said contractors were barred from working for other media outlets and had been terminated with just one day’s notice "without any thought about a violation [of] contracts." The complaint listed 11 "contractors" who were allegedly subjected to the misclassification between 2011 and 2013. "Based on an estimation of the salary levels and durations, I estimate that we were collectively paid more than $180,000 during this time for which the company paid no payroll taxes," said the complaint. VOR budget director Roman Tokman did not respond to request for comment. Alexei Iazlovsky, the head of VOR and the Russian-government TV station RT America, pleaded guilty to separate charges of tax fraud last July, the Free Beacon first reported. He faces up to three years in prison and is scheduled for sentencing later this month. Margarita Simonyan, the editor-in-chief of RT in Moscow, said the news outlet decided to cut ties with Iazlovsky after the Free Beacon’s report. While internal rumors are swirling that a structural overhaul could be coming within the next few weeks, RT America and VOR employees have not seen any signs of reorganization and say Iazlovsky remains in control of the company. "I have not heard a word of them actually cutting ties," one VOR source told the Free Beacon. "Nothing has been announced to the company employees, nothing. So it’s as though you can be a criminal and run the company." Several Moscow officials, including former VOR Washington bureau chief Dmitry Gornostaev, met with VOR management last month in Washington, which could indicate an impending shakeup. Tax issues are not the only problem plaguing Russia’s media empire. The Equal Employment Opportunity Commission is also investigating allegations of discrimination at the radio station, the Free Beacon first reported in April. 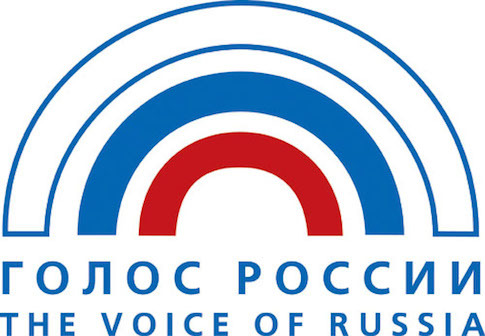 The Russian government dropped the U.S. government-run radio outlet Voice of America from its airwaves in April, declining to renew its broadcasting contract. The U.S. embassy blasted the move, accusing the Kremlin of "imposing unprecedented censorship and restrictions on media and online publications" and denouncing Russia’s government media outlets as "a propaganda service." However, the Obama administration has yet to take similar action against VOR and RT America. VOR staff said the IRS inquiry puts even more pressure on the news outlets as they wait to find out whether Iazlovsky will be sentenced to prison time later this month. "It’s a hand grenade that’s about to blow up," said a VOR source. "As far as we know, when he goes to jail nothing changes," the source added. "The prospect now looms that the director of VOR and RT would be receiving all [VOR and RT] correspondence through [a convict communication system]."